This is a rectangular Hadensa porcelain sign. This particular Hadensa sign is blue with red and white print. 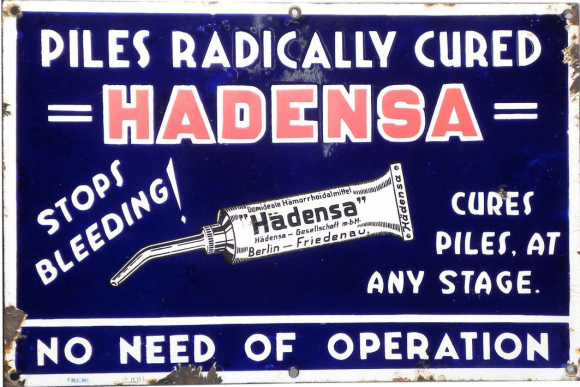 It reads, “Hadensa, Piles Radically Cured, Stops Bleeding!, Cures Piles, At Any Stage, No Need of Operation” and features a tube of Hadensa in the center.